We need to teach kids the connection between how they feel and how they act. It’s test day, and emotions are running high in the classroom. Joe hasn’t stopped fidgeting all morning. He notices that his teacher is about to pass out the test and panics. He hops out of his seat, runs around the classroom, and pushes pencils off the desks of his peers. As a teacher, what would you do? Would you lose your patience and tell him to sit down? Remove him from the classroom? It’s likely that your instinct is to punish Joe. But it’s clearly the test that is fueling his anxiety—so is that a reason to punish? According to Educational and Licensed School Psychologist Lori Jackson, MS, CAGS, the answer is a resounding no. Jackson, along with severe special needs teacher Steven Peck, M.Ed, co-founded The Connections Model, where they develop technologies and teaching strategies to assist students in learning about and managing their emotions. This includes the KidConnect Classroom app, which helps students identify and manage their emotions as they’re occurring. While most adults manage their feelings throughout the day by taking a walk or deep breaths, many kids don’t have those coping skills. “That management, known as emotional regulation, takes place deep inside the emotional center of your brain. When it’s working, you can go smoothly from one event to another, managing the different emotions that arise,” explains Jackson. “When you can’t manage your emotions, each event or activity can bring difficulties and challenges. That’s called emotional dysregulation. For kids, dysregulation makes life challenging, friendships difficult, and most significantly, it can make learning impossible.” To curb that, we need to teach emotion regulation so kids can realize that they’re in control of their feelings and subsequent actions. Here’s how to make those skills a staple in your classroom. 1. Connect the idea that emotions drive behaviors. Talking about emotions in the classroom hasn’t really become mainstream. It can feel uncomfortable to awkwardly ask students, “How do you feel?” Instead, we need to be asking how an event—such as a looming test—makes the child feel and how that subsequent emotion makes them behave. One of the challenges is finding activities to teach this concept and to do it easily. “We’ve developed some fun whole-class activities that really help students make the connection between emotions and behaviors,” says Jackson. For example, you might use an event like a thunderstorm to talk about how events can trigger certain behaviors (such as hiding under a blanket), which in turn can elicit an emotion (fear). It can be fun for kids to use something other than their behavior to understand the idea of emotional regulation. Over time, they will learn to connect events to emotions and find the control needed to manage their behavior. The kids who have the most difficulty managing their behavior are often the ones who are falling behind or have gaps in their academic knowledge. So, not only is it important to get to the core of the issues by teaching emotions, but doing so with patience is key. “It will take time to reorient, but the good news is that the brain can be repaired. New neural pathways can be developed, with time and consistency,” says Jackson. 3. Set the tone first thing in the morning. Some kids, particularly the ones with regulation issues, perseverate on things. If the event is still playing in the student’s head, it’s likely the emotion is still festering. You can also go over the day’s schedule and tie it to emotions. “If you know that Billy has difficulty with math, let’s help Billy identify the emotion tied to math and then pre-identify a strategy to use when Billy feels it during math time,” suggests Jackson. 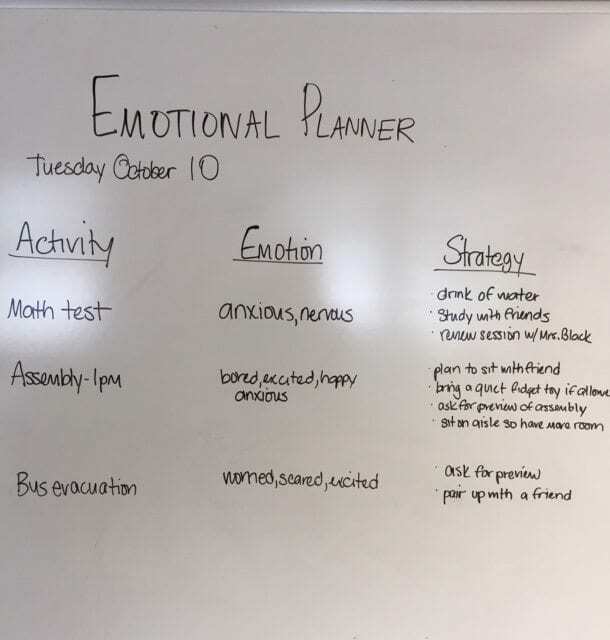 Try using an Emotional Planner with some students, as shown in the picture above. This gives kids the chance to think about their emotions in advance of an event, like a field trip, and begin the steps to learn how to manage those emotions using strategies. Use a regular planner, make it a part of your daily schedule on the board, or integrate it into your Google Calendar. There are many ways to make it work and keep the idea of how our emotions drive our behaviors in the front of our minds. 4. Help students understand emotions in real time. The big goal is getting kids to a place where they’re able to recognize their emotions as they’re happening. And that’s where the KidConnect Classroom app comes in. 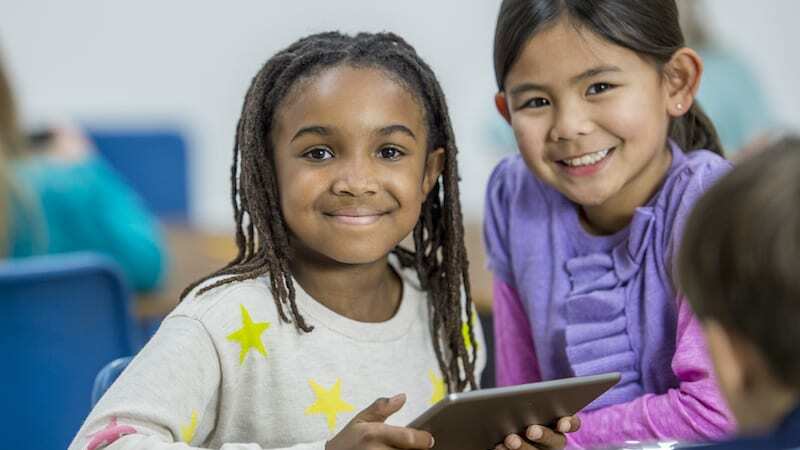 “Teachers open KidConnect and hand the iPad to a student immediately following an incident. The student then completes a short route on the iPad,” explains Jackson. 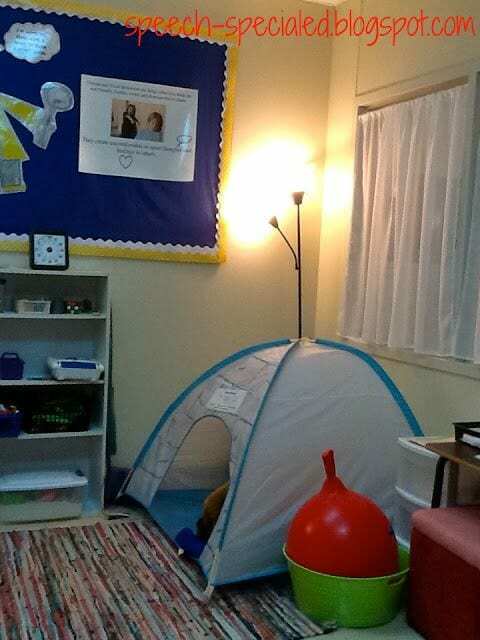 KidConnect Classroom also offers an Observation section where teachers can make notes not only on behavior but the emotions behind it. A reporting section allows you to communicate information to parents and administrators and to analyze behavior and patterns. 5. Check in all day long. It’s beneficial to stop throughout the day for quick regulation checks. This way kids can vocalize if there are any lingering emotions from an activity that’s already been completed. “We also suggest a minute of mindfulness. It doesn’t have to be a big deal, just a minute of quiet, breathing—‘clear the head and clear the brain time,’” says Jackson. You can alternate with movement breaks for those students who do better by burning off some energy. 6. Build a word wall. Build your students’ emotional vocabulary by giving them direct access to those words and feelings. 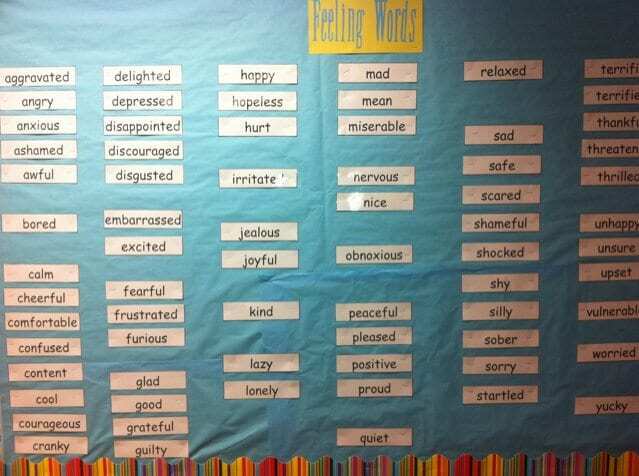 Lauren Ross, LCSW and school social worker for the Cherry Creek School District in Denver, Colorado, suggests creating a word wall filled with feelings words or hanging a poster in the room with “feelings” faces. 7. Designate a calm-down spot. As teachers, you have the power to create an emotionally safe classroom in which all feelings are OK, and it’s reinforced that taking care of yourself is normalized and respected. “A ‘calm-down spot’ in the classroom is a great way to do that,” says Ross. “I usually recommend a pillow or beanbag, a feelings poster, a couple of calm-down strategies such as a stress ball or Theraputty to squeeze, books about emotions, and a timer.” Once it’s set up, make your kids aware of what it’s for and how to use it. 8. Take the focus off of academic success. You can give students tons of extra academic support, but if they’re not taught the skills needed to regulate their emotions, you’re not likely to see improvement. Teaching kids how to manage their emotions will result in increased focus, which transforms them into students who are ready to learn! Social-emotional learning is everywhere! The most difficult part of beginning something new is getting started. It can be hard to keep up with new ideas and trends, but when new information can improve the climate in your classroom and help your students learn with greater ease, we say go for it! 10. Share your own feelings. Don’t be afraid to share your own emotions as they occur throughout the day. You’re not superhuman, so of course a stressful day, when the printer jams, your students have asked the same question 15 different ways, and you forgot about a mandatory faculty meeting after school, will rattle you. Share your feelings with your students—it’s a surefire way to help them understand the connection between feelings and behavior. “Teachers are the absolute best examples of emotional regulation,” says Jackson. 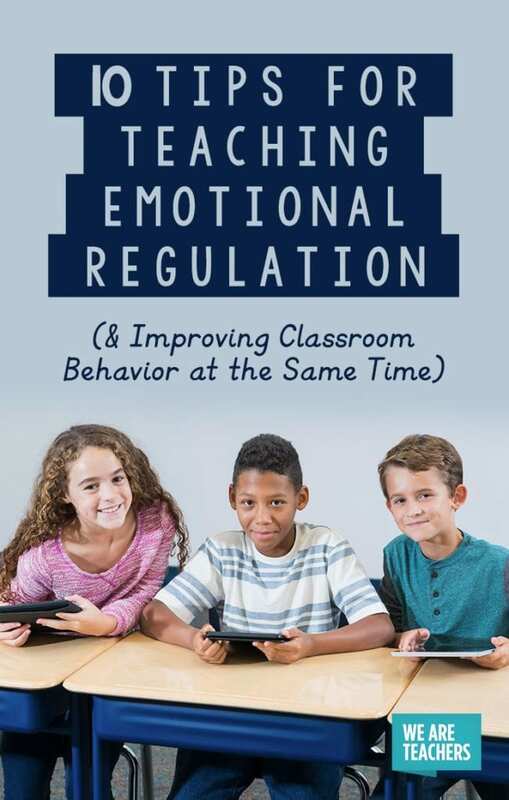 How do you teach emotional regulation? We’d love to hear your ideas in the comments. What’s Your Money Personality? Make it Work for Your Budget!